These great posts came from last weeks Tuesday Tots linkup. Don't forget to check out the other great features from our co-hosts. 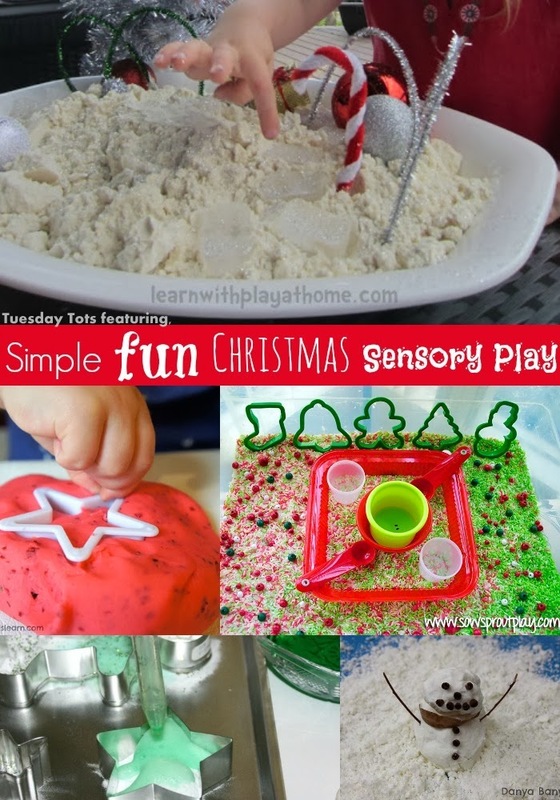 My kids love Sensory play and so do I, as it's generally something that keeps them entertained for ages. Besides the fun they're having, there is so much learning that takes place through these experiences. It is very worthwhile for children to be exposed to experiences where they can use multiple senses in order to develop these further and to make connections about themselves and the world around them in a way that is natural to them. Just sit back and observe as they hone their fine-motor skills and practice things like tipping and pouring and cutting. See them investigate and explore the varying materials and their properties and listen as they question occurrences or state observations. It really is delightful to watch. Congratulations if you were featured. Feel free to grab a Featured Button here. Looking for something a little different? 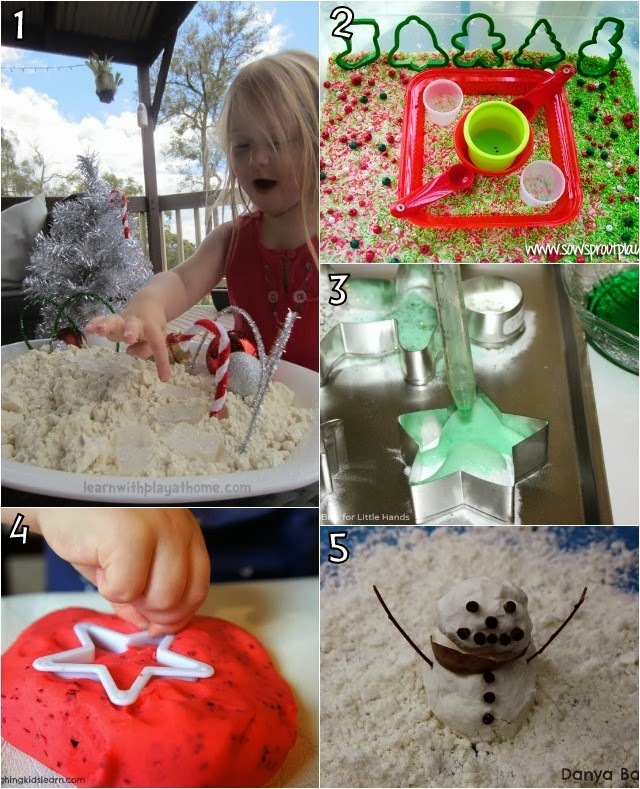 Set up a Christmas Decoration Creation Station for open ended Christmas fun and creating!